Girls will wear T-Shirts starting Monday, April 15, 2019 and Friday, April 19, 2019. Students will walk two days a week until May 10, 2019. Nevah Porchay will handle the Log Sheets in the cafeteria (during lunch) for the 7th and 8th grade students and Madyson Thomas will for the sixth graders (during lunch). These Log Sheets will have the students’ name, number for the pedometer, and the column for the walking distance. Students will receive a number card for the pedometer. Students will take this number card to the students who will give out the pedometers for students to use for walking. When the students go to the tennis court area to walk, they will give the number card to the student(s) to receive a pedometer. The students will stop walking five minutes before the bell rings to check the pedometer back in and log their walking distance. The Girl Build club members will advertise the walking club on the announcements and posters in the hallway at Henderson. The Girl Build club members will assist the Sponsors Ms. Kelly and Mrs. Myton by making cards, numbering the cards and pedometers, and remembering to wear their T-shirts on Monday’s and Friday’s for the walking days at Henderson Middle. 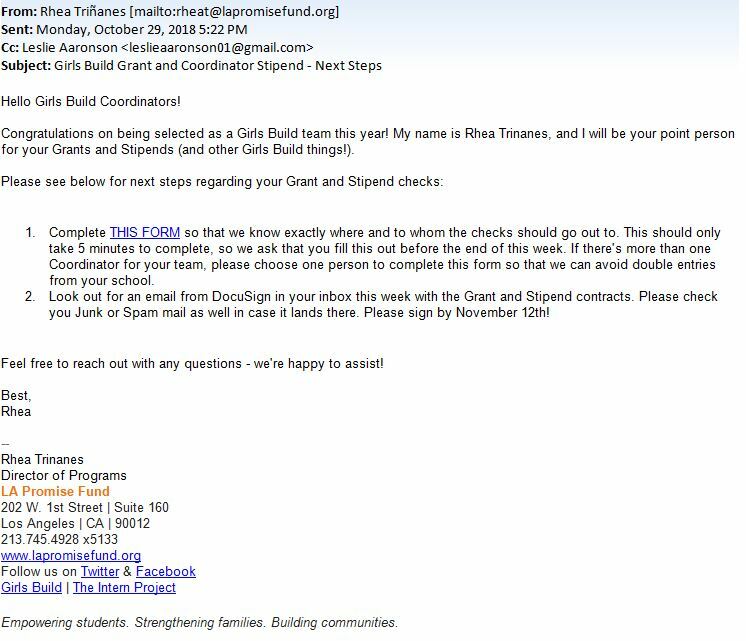 The Girl Build Club members will take pictures of students who participate for the walk and they will assist with uploading the information to our website and to Girl Build. 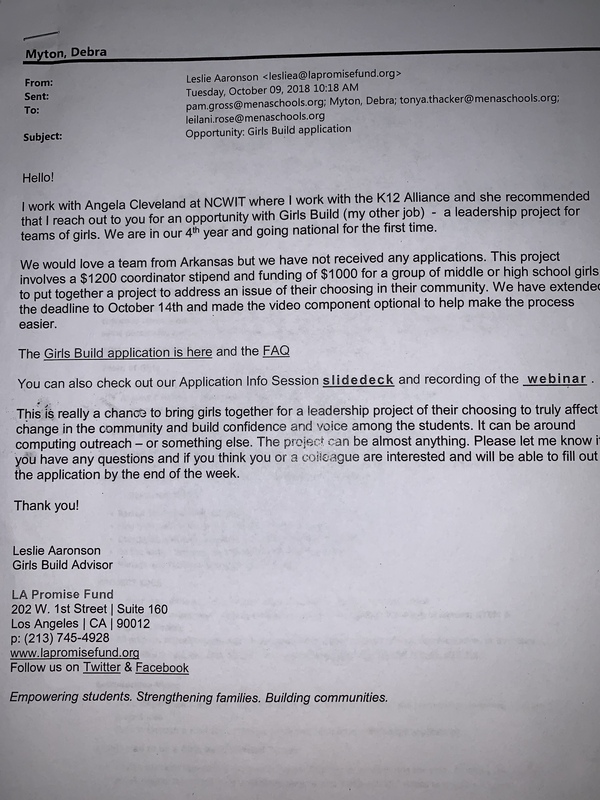 The Girl Build Club members will be responsible and dependable in helping Ms. Kelly and Mrs. Myton keep up with the Log Sheets, Pedometers, and other duty responsibilities as needed or may arise during this project time.